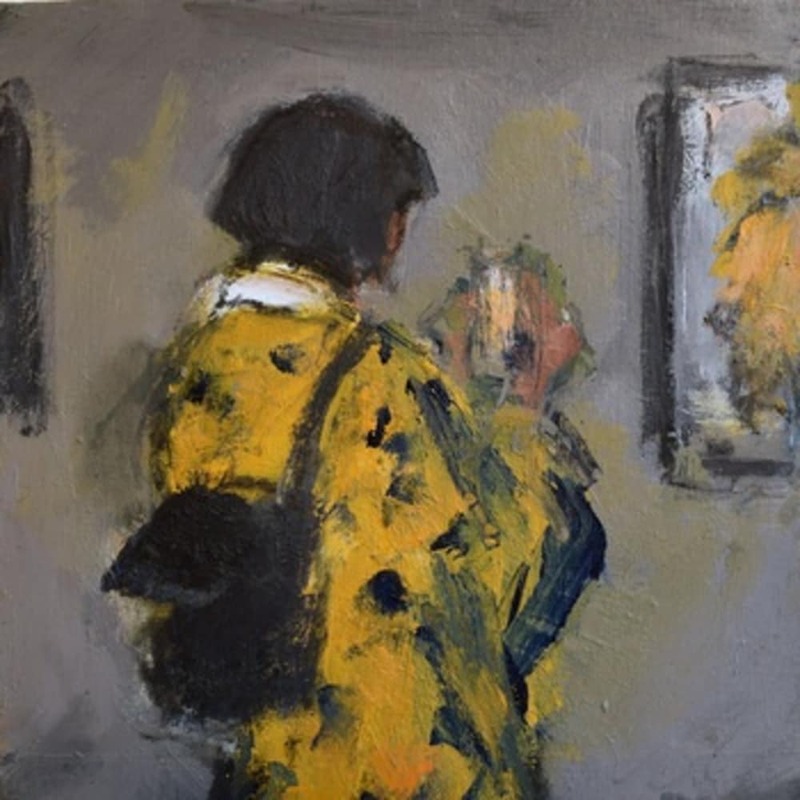 Ghislaine Howard is one of the England's finest living artists, a painter of powerful and expressive means. Her works, using a subdued palette, deal with the human condition, interpreting human experience and depicting scenes and emotions that few artists are either capable of or willing to approach. She is perhaps best known for being the only living artist to feature in The British Museum's major exhibition of 2013 "Ice Age Art - the arrival of the modern mind". Before that she shot to fame with a ground-breaking exhibition concerning pregnancy and birth at Manchester City Art Gallery. For Liverpool's celebrations as Capital of Culture she completed a major new work - The Empty Tomb - which was unveiled by the Bishop of Liverpool on Easter Sunday 2008 and was on show throughout the year. Ghislaine's series of paintings in response to news images taken from the Guardian newspaper, the 365 daily images, was shown at the Imperial War Museum North and a series a works depicting one man's response to the Manchester Arena bombings, Embracing Manchester, was exhibited in St Ann's Church in Manchester. She is represented in many public and private collections including The Royal Collection, Manchester Art Gallery, Whitworth Art Gallery, Salford City Art Gallery and The Methodist Art Collection.